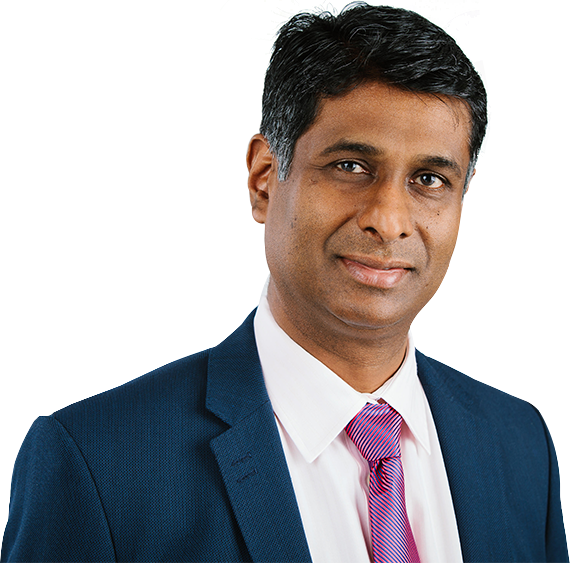 Mr Somashekar was appointed as a Consultant Orthopaedic Surgeon at Hillingdon and Mount Vernon Hospitals in 2011. His Orthopaedic training was in London in the St Mary’s/ Charing Cross/Chelsea and Westminster Hospital Rotation with Fellowship training in Knee and Sports injury at the Jonathan Webb Clinic, Bristol and Trauma Surgery at St Mary’s Trauma Centre, Paddington. I found Mr Somashekar to be very personable and easy to communicate with. I had surgery on my right knee to remove torn cartilage. The outcome of the operation was exceptional with me being able to walk and place weight on the affected knee the same day as surgery. I went to see Mr Naresh Somashekar after suffering a knee injury playing football. I have been playing football for most of my life and was devastated when I suffered my injury as I could not play until I had some sort of surgery on my knee. A very supportive consultant who is passionate and goal oriented in presenting the best available treatment and care to his patients in his field of specialty. I recently underwent a half knee replacement under Mr Somashekar at Mount Vernon Hospital. It took 2 years 6 months since reporting my very painful knee to my GP before receiving surgery. He is a fantastic person and a very good doctor. He went out of his way to organise all my investigations and then start my treatment. He is a good listener and calms all your anxieties immediately. As a doctor myself, I would trust him with all my orthopaedic problems and would always value his opinion most.